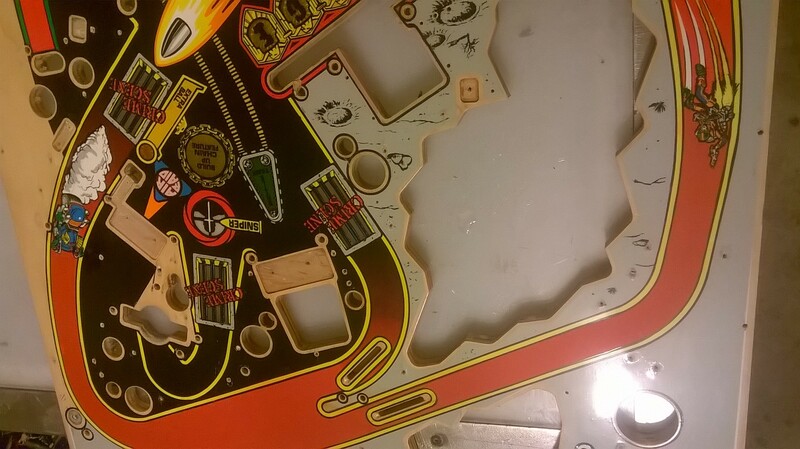 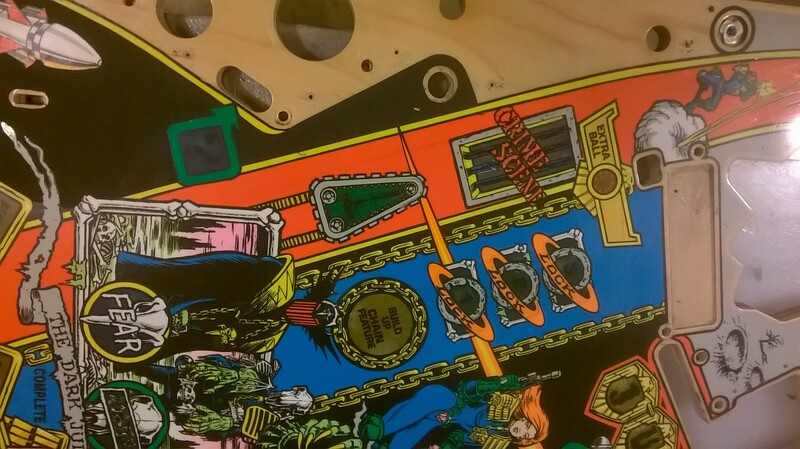 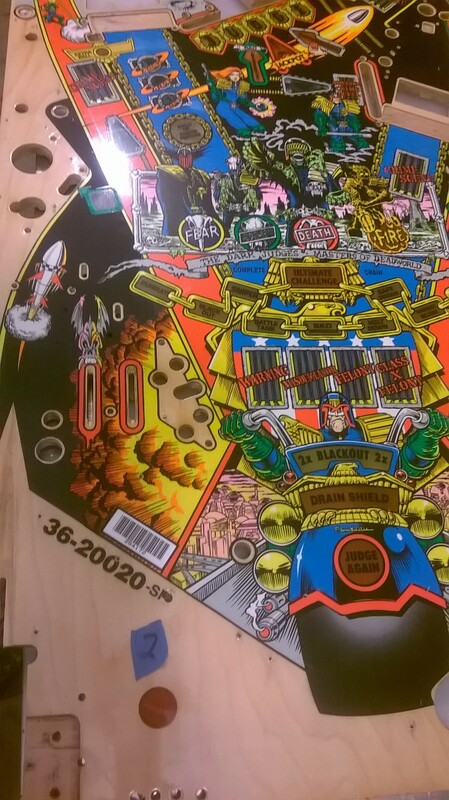 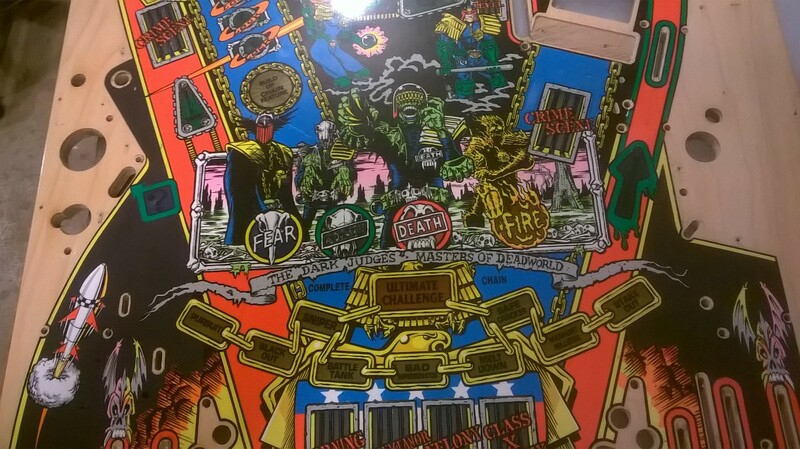 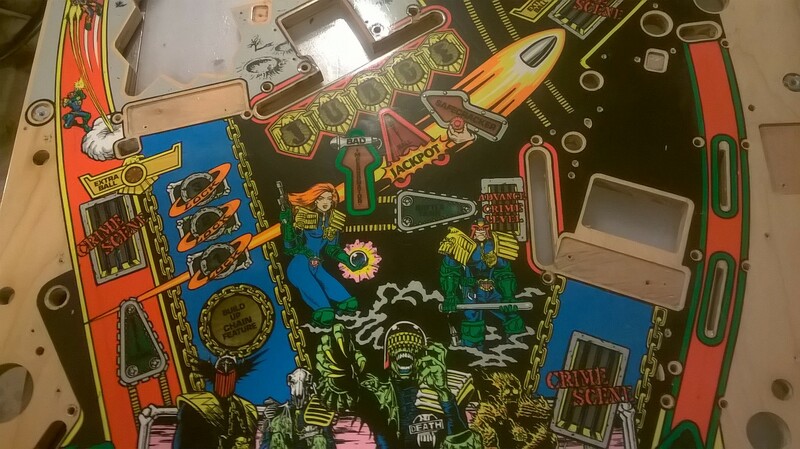 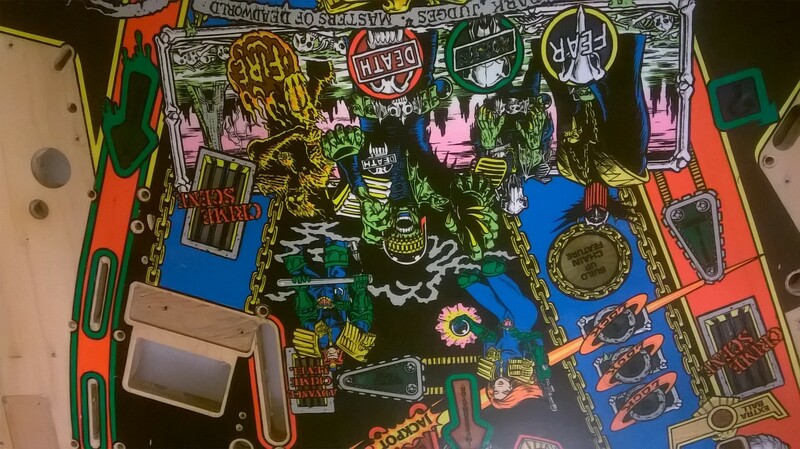 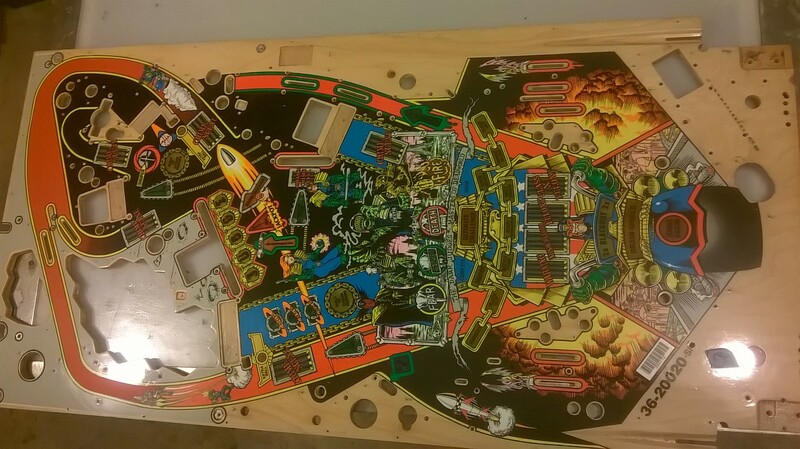 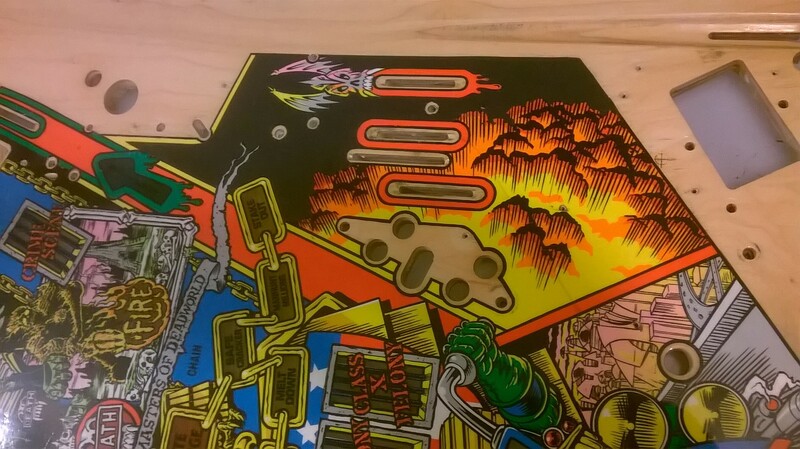 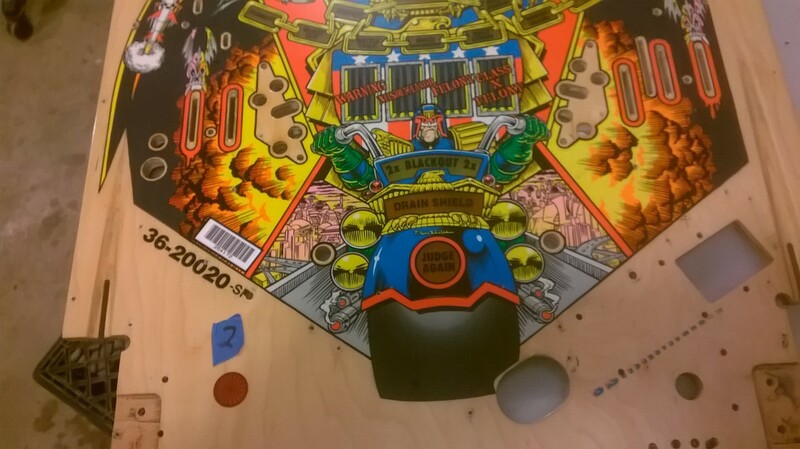 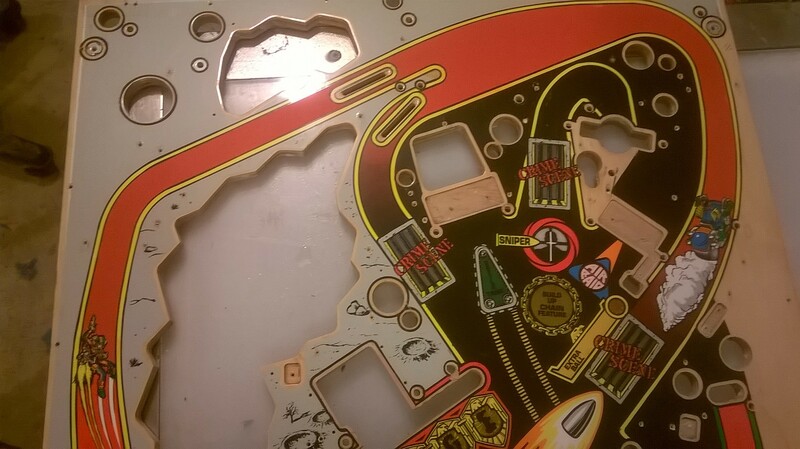 This playfield is in awesome shape and super easy to restore. 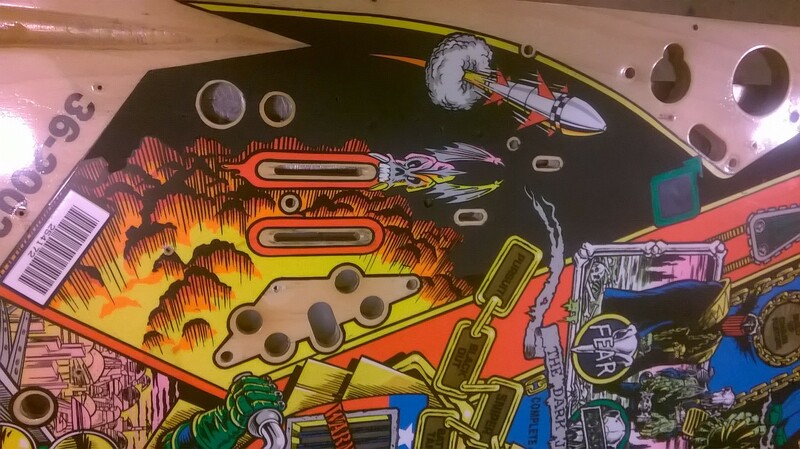 There is some paint work done on it (water-based comes right off if you want it off) by the understudy I was working with. 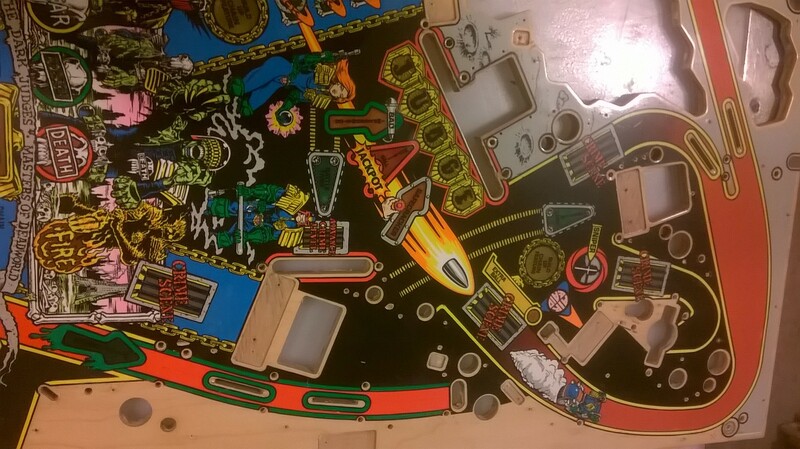 The painted areas are the black by the save/drain lanes and red on the top arch $300.